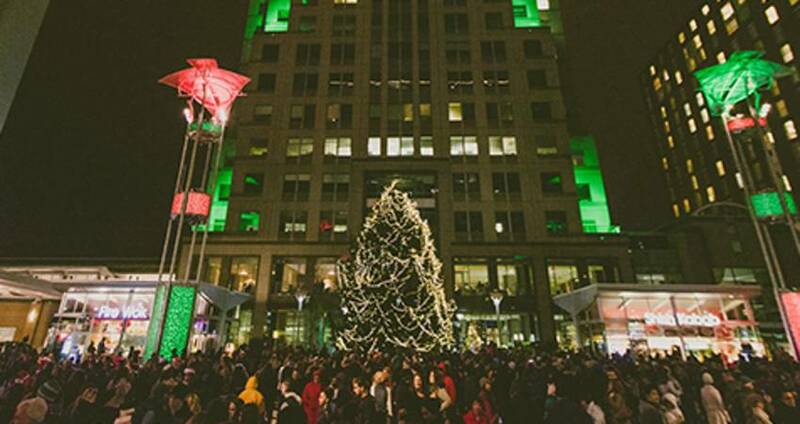 Raleigh, N.C.&apos;s FREE Ipreo Raleigh Winterfest celebration kicks off the holiday season with Mayor Nancy MacFarlane&apos;s official tree lighting ceremony at 7pm this Sat., Dec. 5. Festivities run from 3-10pm with the outdoor ice rink opening at 11am that day. 1. Rare hometown performance by Raleigh&apos;s own American Aquarium. Alternative country rock band American Aquarium will take the stage directly after the mayor&apos;s tree lighting ceremony. Don&apos;t miss this FREE show. 2. Pho Nomenal Dumplings, winner of the Food Network&apos;s The Great Food Truck Race, will be serving delicious eats on site. 3. Indoor storytelling + gingerbread house contest. Take a trip to the Wake County Express Library on Fayetteville St. to vote for your three favorite gingerbread houses on display. Librarian Miss Susie invites families to her gingerbread character story times at 4pm and 6pm. 4. New rides and games. Attendees of all ages will enjoy the NEW giant super slide! Try your luck at fair games and Food Lion cart racing too. This Saturday&apos;s forecast calls for sun and temperatures in the mid-50s! Bring your mittens for the perfect winter day. The Ipreo Ice Rink is open now through Jan. 31, 2016. Ipreo Raleigh Winterfest photos (tree, gingerbread, Fayetteville St. and ice rink) by Carolyn Scott Photography.